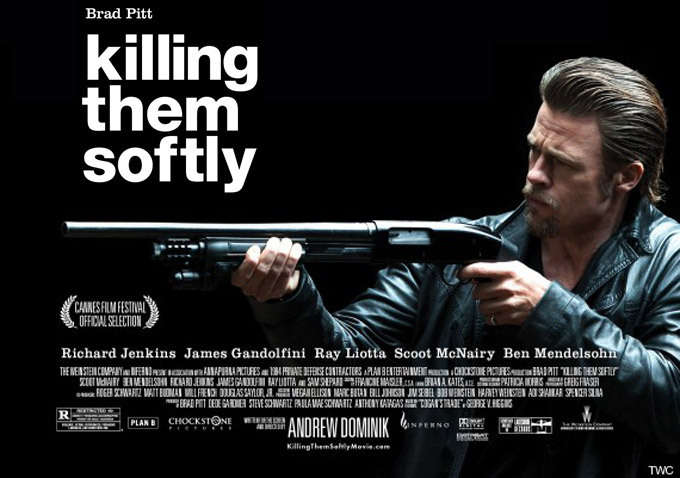 I’m continuing the Texan theme with ‘Texas Killing Fields’, a moody crime thriller directed by Michael Mann’s daughter Ami. It received a lukewarm reception from critics and made no dent whatsoever at the box office when it was first released on a limited run, but I can’t help but feel that it is an underrated gem of a movie that deserves a little more attention than it got. Interstate 45 is a stretch of highway that connects Houston to Dallas. There’s a corridor between Houston and Galveston known as the killing fields, there’s been at least forty women and young girls who’ve been found dead in the area, these cold cases stretch back decades and have baffled local Police and the FBI. The area is remote, almost uninhabitable, the kind of place where nobody would notice anything out of the ordinary. 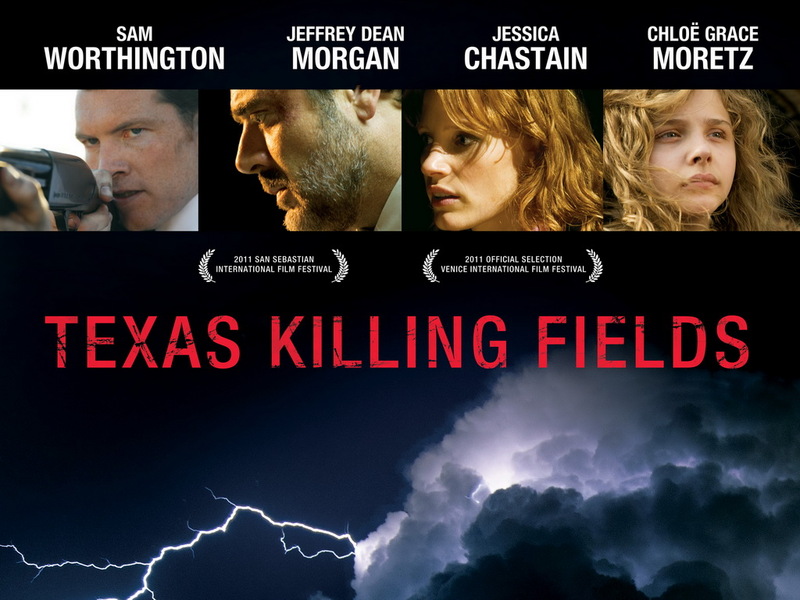 ‘Texas Killing Fields’ focusses on the good cop bad cop relationship between the twitchy and volatile Detective Mike Souder (Sam Worthington) and the placid empathic family man Deterctive Brian Haigh (Jeffrey Dean Morgan). The partners are approached by Detective Pam Stall (Jessica Chastain) who is investigating the disappearance of a young woman a little way outside of their jurisdiction. Stall and Souder used to be in a relationship, so Souder is understandably a little reluctant to work with his ex. Detective Haigh develops a bond with a local girl called Little Anne Sliger (Chloë Grace Moretz), who is raised in a white trash hell hole. He seems especially concerned about her wellbeing in light of the recent murder of a young girl similar in age and appearance. I’m not sure if it is because I am fascinated with white trash America but the most interesting characters in the film are the Sliger family. An alcoholic prostitute mother lives with her children and a selection of weird ‘boyfriends’ including Rhino played wonderfully by Stephen Graham who’s recently been excelling in ‘Boardwalk Empire’ as Al Capone. Despite his diminutive stature Graham is always an incredibly sinister screen presence, and though he has limited time to shine he, as always, is fascinating to watch. I think the incoherence and confusion of the uneven script somehow works in the favour of the film, given the illogical nature of these murders, and that the creeps and freaks who exist in small town Texas operate outside of any kind of normal structure. As the detectives get further embroiled into the case they get caught in a frenzy of frustration and futility, as dead ends and poor leads mean they find themselves wandering into the fields, a lawless and unforgiving place. 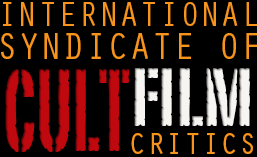 A comparison to ‘Texas Killing Fields’ comes in the shape of David Fincher’s much superior ‘Zodiac’, where the investigators find themselves on a wild goose chase, and whenever they make a breakthrough or think they’re close to cracking the case something goes horribly wrong and the opportunity falls through their fingertips. The similarities also come in the murkiness of the lighting; darkness is used to great effect, creating an unnerving cinematic experience.